Lock in a great price for Sotto le Stelle ai Decumani - rated 9.4 by recent guests. We loved everything about our stay at Sotto le Stelle!! The beds and cushions were very comfortable ! Staff was very nice and informative . Truly was the best place during our trip!! Room was cosy, breakfast pretty good and the housekeeper lovely. 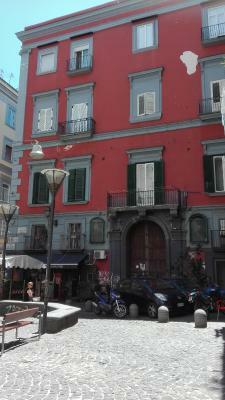 Location in the heart of Centro Storico. The service ! 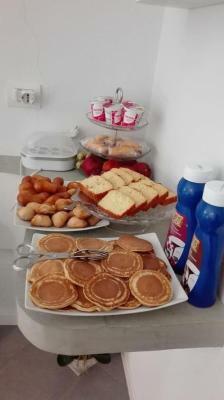 Calm, comfort and excellent breakfast. The young woman who takes care of you from beginning to end is extremely helpful. Very welcoming. Wonderful 16th century building. 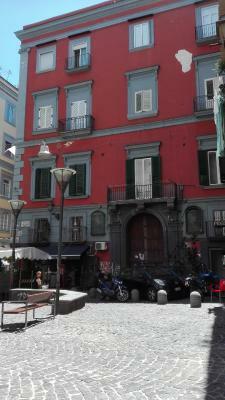 Fantastic location in the historical centre of Naples. Lovely large room. Great selection for breakfast. We had a very good stay. The place was in old town, near to main restaurant street. 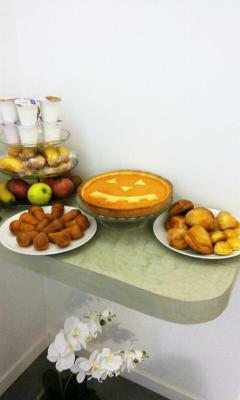 The room was big, beautiful taste in interior and very comfy bed, very clean, good bathroom, big breakfest room. We had to leave early from the property, they packed us with a lunchbox. Caring and friendly lady gave us so much info about Napoli, thanks:) ! We had difficulty parking a rental car, grazy city! The host was pleasant, the place was clean and for the money, you couldn’t ask more. Overall it was God’s experience. Very good location . Nice clean room. And good service . The staff clearly care that you have an excellent stay. 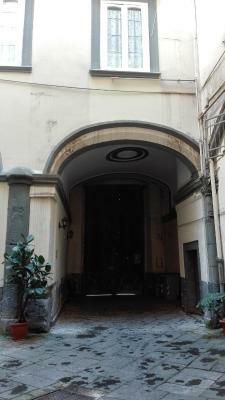 One of our top picks in Naples.Set 450 yards from San Gregorio Armeno and 0.9 miles of Capodimonte Astronomical Observatory in Naples, Sotto le Stelle ai Decumani provides accommodation with a flat-screen TV. Complimentary WiFi is available. 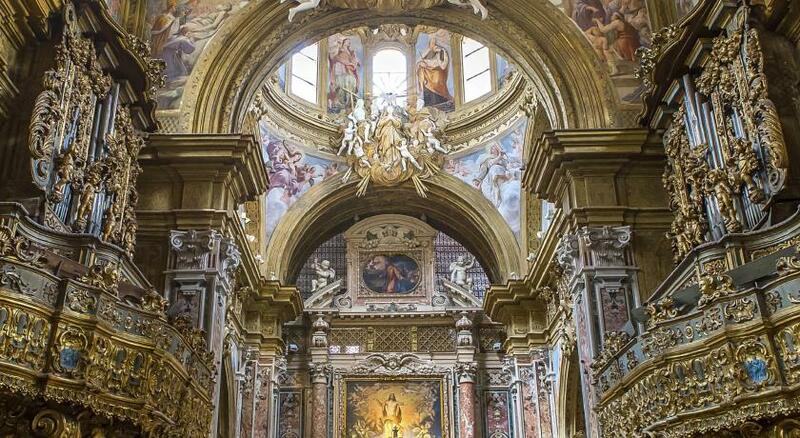 Museo Cappella Sansevero is 800 yards from the bed and breakfast. Naples International Airport is 3.1 miles away. 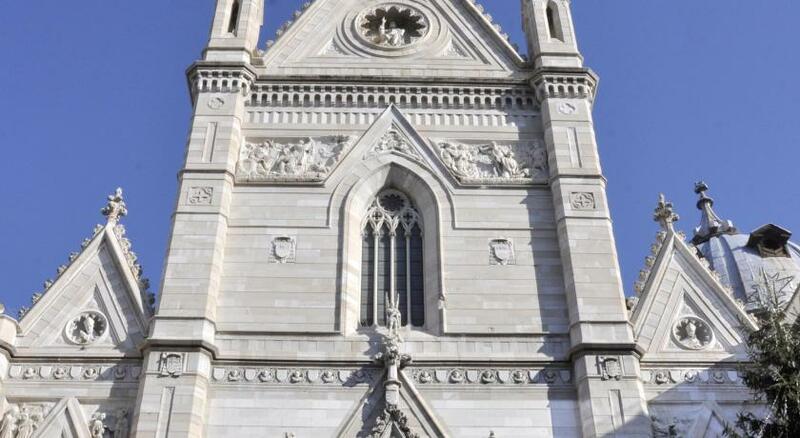 Naples Historical Centre is a great choice for travellers interested in churches, Old Town exploring and atmosphere. Sotto le Stelle ai Decumani has been welcoming Booking.com guests since 9 Aug 2016. 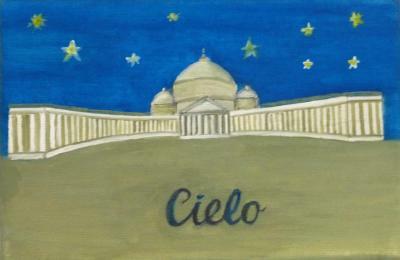 When would you like to stay at Sotto le Stelle ai Decumani? 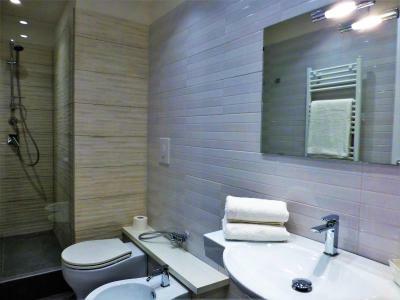 This double room has a tea/coffee maker, electric kettle and tile/marble floor. This double room features a electric kettle, tea/coffee maker and private entrance. Property surroundings – This neighbourhood is a great choice for travellers interested in churches, Old Town exploring and atmosphere – Check location Excellent location - show map Guests loved walking around the neighbourhood! This neighbourhood of churches, catacombs, and ancient ruins is divided neatly in two by a charming, tourist-friendly avenue called the Spaccanapoli. The streets here still follow their ancient Greek outlines. House rules Sotto le Stelle ai Decumani takes special requests - add in the next step! Sotto le Stelle ai Decumani accepts these cards and reserves the right to temporarily hold an amount prior to arrival. The property is accessed via 3 flights of stairs in a building with no lift. Please inform Sotto le Stelle ai Decumani in advance of your expected arrival time. You can use the Special Requests box when booking, or contact the property directly with the contact details provided in your confirmation. 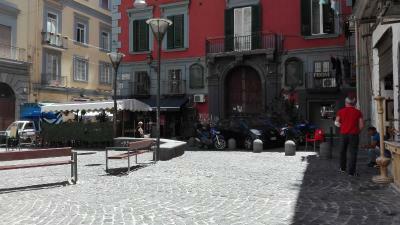 One of the most picturesque neighbourhoods in Naples! -The B&B is on the 3th floor in a building without elevetor-as most of the buildings in Naples- but they carry your suitcases for you! The apartment is in the 3rd floor with high steps. With heavy luggage you need power! Having to go up three steep floors, especially with suitcases. Supposedly someone can help with suitcases but didn’t hear us ring. Third floor but equivalent to the sixth. No elevator. Very difficult to reach by car, almost impossible to load and unload your stuff. Poor support. 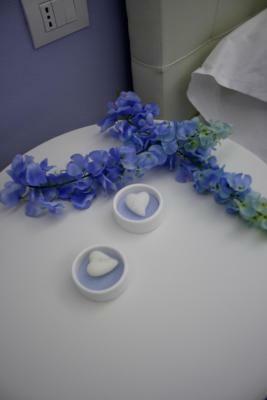 Just for singles or couples without babies. The ladies there are kind and the environment is ok.
Great place, but be warned it is at the top of the equivalent of 4+ flights of stairs. Sparkling clean, great staff, fantastic location, a phenomenal breakfast. Not a problem for us but I should warn it’s on the 4th floor without an elevator. They will carry your bags though. Very nice room, friendly staff, good breakfast, good value and the location is great.